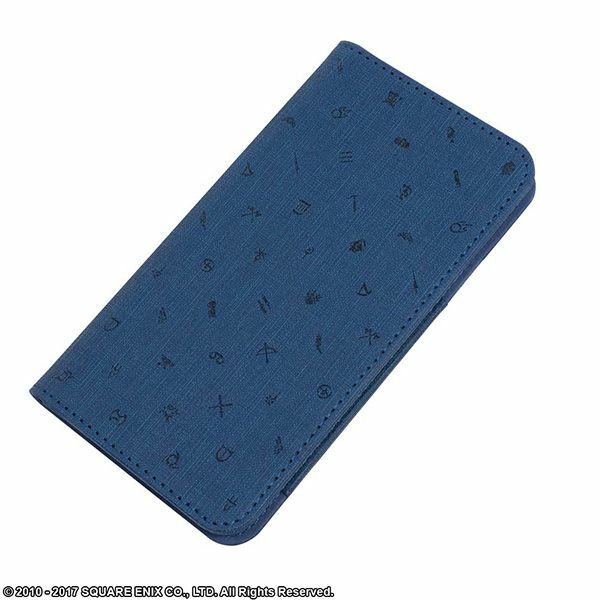 With a classic minimal design that has embossed job class icon silhouettes from FINAL FANTASY XIV. It is sized for larger sized phones (5.5 inch to 6 inch LCD w/ 3.15-inch width × 6.22-inch height × 0.35 inch thick). Wrapped in a canvas-like finish with three card pockets. ※ Devices can be fixed with an adhesive sheet. A wide range of models can be used, but a model with a curved back. Using a device with rough surface texture may be difficult as the adhesive tape might be unable to attach.